Appearance: Visual pleasure, lighting, visual style, deduct bad texturing etc. The fisheries have had a bad year. Unemployed roam the streets and crowd the pubs. The merchants sleep with one eye open and keep a tight grip on their property amid the unrest. A thief, even a skilled thief like myself, has a hard time finding good, worthwhile work. I began looking for more... unusual tasks. I set my eyes on Thornton Hall, remote and cut off from the outside world. These outlying manors are difficult to find, let alone reach, but they're bound to hold precious trinkets and family heirlooms untouched by anyone. Not few are said to be haunted by one dreadful apparition or another. But it's common for the lords themselves to spread these rumours, to keep unwanted visitors away. This mission is in two parts. Once youre done with the first, on to the next. Click continue at the bottom of the login screen if you use the Dropbox link but don't have a login, then place the mission archive in the fms folder of your Dark Mod installation. - Mission end: the roof has crumbled in certain places, revealing the night sky and blocking one conceivable route with fallen debris. Another route may appear slightly more appealing. - Mansion: the conversation in the mansion usually failed to start if one of the thugs had previously recovered from an alert. - Church: the graveyard chalice shows in the correct position when tdm_showloot is used. This mission started its life as a standalone mission for a Halloween contest, so it takes place in a different setting and begins with its own story. There is, however, a strong link thatll become apparent during the mission. From a mapping perspective it contains areas and ideas that I had originally intended for Of Brambles and Thorns, which is the bonafide sequel, but realised that they wouldn't have space there anymore. So this could be described as being neither sequel nor prequel, but certainly a part of the series that began with One Step Too Far. How do I get into the basement? The entrance to the basement is on the northeast side of the house, outside. The thug who's picking the lock at the top of the house has a saw lying next to him with which the plank can be broken. Explored the basement, where to go from here? The chest in the small room at the end had a ghostly readable on it. When it is read, you start lighting up a trail of footprints on the floor whenever you come close to one, the first pair being in that room. Where does the trail that started in the basement lead to? The destination is the storage attic on the top floor, left hand side when going up the stairs. A scripted event will happen when approaching the chest which has a bust in it. Found my way into the sealed study, what to do now? You need to frob the book on the desk. When you've done that, the fluid in one of the phials turns orange and can be frobbed. Arrived at the next location, triggered a conversation and got some new objectives. Now what do I do? You need to explore the bedroom in the upper floor behind where the man is sitting at the desk. On the top of the bed there's gold and his book, which gives a clue on where to go next. Found Aldwyn's hidden book, now what? The key is in one of the haybales, now frobable, in the stable. Where does Aldwyn's hidden key lead? In the food storage room there's a hatch in the floor that opens onto a tunnel. You need to pickpocket the maid first in order to get access to the food storage. Outside the farmhouse in the garden, under the fernplant at the wall. The dirt covering it will disappear when frobbed. Found the inheritance, now what? Read the readable inside it, take the coins and the ring, and then a phial will materialise next to the inheritance. Back in the study what now? Read the book on the desk, which will make the next phial turn orange and frobable. What do I need to do in the church? The clue is in the priests book. You need to frob one of the wooden candle spheres, second from the left, of the railing in front of where the lady has been sitting. A key will drop out, which grants access to the church's storage room. Been to the church's storage room, what do I need to find there? There's a faintly glowing plank in the floor that can be opened. When you've looted everything under the plank a new phial will show up inside. He's on the lowest deck in the southernmost room. In his jail cell you'll find his book: read all 3 pages and you will get a new objective. Found Johan and got the new objective, where do I find the evidence and what do I do with it? You need to find the captain's rooms on the uppermost deck and take the book that's lying on the floor beside the bed in his smaller room. This must be dropped onto Johan's hands, which will cause a new phial to materialise. Reached the next location, what do I do here? In the caverns, when you've frobbed Johan's book the tall rock in the wall on the other side of the ice stream becomes frobable. This needs to be frobbed. When you've frobbed the book on the desk the coffin will open, you need to empty its contents and read what you find within. This will cause another scripted event. How do I get the special valuable item? You need to pickpocket the skeleton's key without being seen. If you're seen the key will drop to the floor and burn up. How do I complete the mission? You need to jump onto the chandelier or drop down to the ground directly from the staircase railing. - Inspiration, Story: The Terrible Old Man by H.P. Lovecraft, a short story which leaves much to the imagination. - Inspiration, Setting: Right Up There in the Mountains by Troutpack, a fan mission for Thief 2 which left its mark. Edited by Dragofer, 15 December 2016 - 07:24 AM. That's a class description! Congratulations on the release. Will try it this month hopefully. Already now I can feel that you should be proud of yourself. And, I've only just started playing, but wow is this mission oozing atmosphere! Congrats, Dragofer. I'm really glad I could help out with the beta-testing. Great mission so far, but I'm stuck. i've drank the first of the phials and teleported to an area where there's a teenager trying to get away from his uncle. found the hidden key and escaped to the outside of the house, and I've found enough loot (playing at easy difficulty) to satisfy the loot objective. What do I do next? Thanks in advance! Also, I think I found a bug. In the room in this world which is (I guess) the kid's bedroom with a ship's wheel on the wall, if you frob the obvious book under the bed, you lose the ability to switch weapons or do anything with your inventory. The inheritance is buried in the fenced herb garden - take a look along the wall. That bug looks like part of the readables text file went missing somewhere down the line. Edit: I've looked into this again: the mission archive you get from the ingame downloader is identical to the one I uploaded, and when I use the downloader's version that part is working fine for me. I really can't say what made that particular (flavour) readable misbehave, maybe the download didn't fully complete? Edited by Dragofer, 26 September 2016 - 02:14 PM. I'm at the second place - the chapel. A readable there talks about "extinguishing candles from the outside where the window is at such a sharp angle to the ground" to get access to a storage room. This has me stumped. Which candle(s) and which window? If I previously extinguished this candle from inside, am I stuck? Well done on an amazingly detailed and very atmospheric mission. I love the new textures and meshes, and the overall originality is exactly what I was hoping for. ...the first guard had already been alerted when I entered the mission, no matter how often I restarted. Something to do with a lit candle that goes out as you spawn into the game? Seems it'd be better to just not have that candle there at all. Anyway, I don't know if it'll affect my stealth score yet. Thank you for all your hard work This FM is a massive improvement over One Step Too Far, and I enjoyed that mission too. Congratulations! Edited by Kerry000, 26 September 2016 - 10:27 AM. When the priest writes about '...extinguishing' the candles, he actually means fiddling with a secret mechanism under one of them. The candle in question is the second from the left on the landing, the side where the lady isn't sitting. The fixture on which it rests will rotate when frobbed and release the key. Edited by Oldjim, 26 September 2016 - 02:38 PM. This is the golden chalice that appears in the coffin in the second part if you manage to pickpocket the key before you're seen. The tome's first hint is when it says it needs someone capable of a leap of faith. You get another hint either when you get hold of the key or when you attempt to fight. Do you want me to create a thread over at TTLG? I'll take that up myself actually, thanks for offering to do this. This objectives arrangement is something I've been thinking about after releasing the mission actually, it's not a bug. If I remember right my reasoning was that the 'valuable item' objective was linked to the manor, and that's long forgotten by the time you're on the Invernesse. But yes, it could be more consistent, so I think this would be something for v1.1. Edited by Dragofer, 26 September 2016 - 03:21 PM. Congrats! Downloaded just now, and I hope to play very soon. Unfortunately, I'm dealing with some medical issues just now but I will jump on this ASAP! P.S. I see I have no warning points, how do I earn some? Edited by montag, 26 September 2016 - 10:05 PM. Again, a most wonderful mission! I expected a mansion mission, with a beautiful mansion to work in. some perspectives and rooms made me stop and marvel at finely crafted interiors. good and fascinating and I just could not bring myself to stop playing, even when I was already tired, because it kept me drawing in. probably be welcome soon enough. Those who like really big and long missions will find themselves with plenty of booty. of cold and icy storm outside. a bit thinking out of the box. A delicacy for the larcenously minded, with a rich story on top of the thievish fun. in a fitting mood right from the beginning. Edited by Outlooker, 28 September 2016 - 05:51 PM. the grey, foggy ambiance of the manor house and the attic. Oh also, the ratty that choked on a ring. is poor because a window somewhere is leaking (missing visportal) and the outside yard isn't hidden in wireframe view. For the purposes of http://wiki.thedarkm...or_The_Dark_Mod does this series have a particular name, or shall I just enter it as the One Step Too Far series? 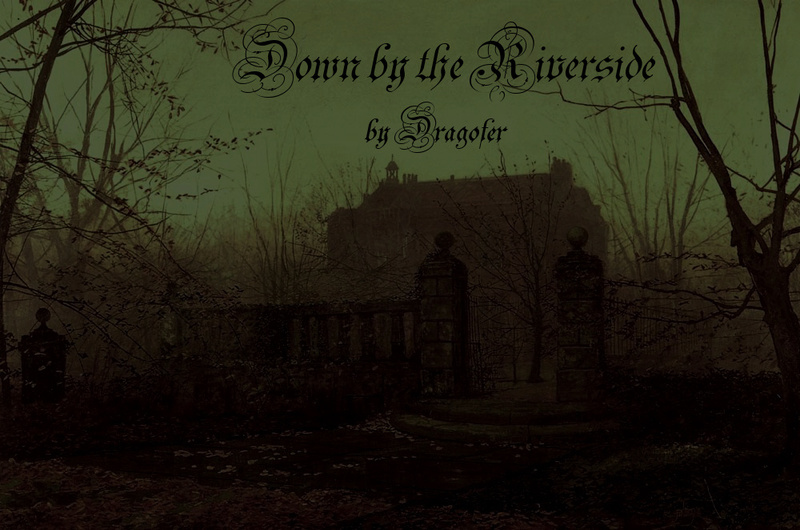 Congratulations on a release of this interesting mission, Dragofer! - how was I suppose to open the locked door in the uppermost part of the abandoned mansion (1. mission, 1. house which you reach right after getting of the ship)? I was able to get wood saw into my inventory and whenever I used it it glow green. I tried to saw off the planks off the barricaded door on a ground floor, but that didn´t work. I got into the room with coffin by noclipping, because I wasn´t able to open it in any way. - now I am at the boat stuck in ice, looking for proof for the young lad. I thought the proof might be captain´s journal, but when I dropped it inside the Nathan´s cage, nothing happened. Second thing I was thinking about was journal of the inventor/navigator (the one in the room where there are maps laid on table), but that readably is read-only. So what is the proof and where shall I find it? EDIT:// Nevermind, I was able to find out you have to drop the cap´s journal on Nathan´s body, that will do the trick. Edit:// I have beat it! - like it took me a while to realize you´re helping write/reshape Nathan´s story by drinking that fluid and experiencing his past. I am not even sure if I got it right. Mechanical wise, I did not like the fact I had to jump down the stairs - completely at the end - only in a selected spot, while on the stairs themselves was invisible wall - I would be able to make it, I had enough health to run down the stairs and survive. Also, I am sure that fall, if it would not be the proper way to finish this mission, would kill me. Storywise, I didn´t like the deus ex machina part in the cave - this man appearing out of nowhere far North (North Pole? Antarctica?) just in a right time and taking Nathan´s body. Unless this is a setup for missions to follow and will be explained, in which case disregard my comment. Edited by Tarhiel, 29 September 2016 - 12:29 PM. Thanks very much Outlooker and Spooks, it’s wonderful to see other people enjoying one’s own creation. For those who want to play this mission I would advise to set aside a well-stocked time budget and some drink and food - those will probably be welcome soon enough. John Atkinson Grimshaw captures phenomenal amounts of atmosphere in his paintings of 19th century harbours, misty forests and roadside manors, while Ivan Aivazovsky is incredibly skillful in how he portrays ships, the sea in all its forms and faraway coasts. It’s a joy to view their works. because a window somewhere is leaking (missing visportal) and the outside yard isn't hidden in wireframe view. I’ve taken a look and double-checked: the windows and doors are all functioning there, but random pieces of the outside do render. I’m supposing it’s part of the engine problem where things in closed visleaves bleed through. @VanishedOne, for the time being this is the Of Brambles and Thorns series. Access to that room is gained in other ways, you need to take the saw to the outside basement door and from there you’d find a way. The barricaded door on the ground floor also has planks, but it’s blocked from both sides. There were some readables in the basement that might’ve helped indicate what the phials were all about, which was to explore whether a fantastical story in a dusty old book was real by experiencing the author’s life first hand. Regarding the man in the North Pole, this isn’t exactly nowhere in particular. It’s an entryway to what appears to be a humongous cavern filled with a treasure hoard that’s ‘vast beyond imagination’. What queer things one might find in such a place... (and yes, it has to do with my next mission). Edited by Dragofer, 29 September 2016 - 01:50 PM. Great stuff. Everything worked fine and I was able to complete it without getting stumped on what to do next (had to reload the very end bit once to think about what was meant). Much longer than I thought it'd be, too! Some novel stuff in here like the electric lights on the ship that flicker and are permanently disabled (they blow) if you turn them off and that rat bit mentioned which I didn't even know about but feel tempted to load up a savefile and test out. Really tight patrols in both missions so I basically knocked everyone out. Most everything about the mission was excellent-- visuals, performance, not too long or short, never got stuck. The body in the coffin which the house's owner extracted the fluid from is maybe not really Johan but instead the malicious ghost? Johan (?) seems to be dead in that cave with the crystals and disturbing sounds. Some ship hauled the coffin off in one of the scenes in between areas as well so it's kind of implied it's not really him. There's also no real indication of what happened to the house owner -- did he escape the same way? You're maybe continuing this mission in the future, though.